1 Sale A Day is giving away surprise items to their Twitter & Facebook Fans. Today’s item is being offered as ‘Free + Free Shipping’. Please join our Facebook fanpage and Twitter fanpage and post a comment/testimonial BEFORE ordering this free gift. Obviously, there’s no ultra-secret device we use to see whether you’ve done so or not, so it’s all about the Code of Honor. Although it’s practically summertime, we decided to conduct a last minute spring-cleaning in our warehouse. It was one of the best decisions we made all year. You know how a pirate feels when he’s uncovered hidden treasures? That’s kind of how we felt. And now, with mountains of treasured items collected, we’ve decided to share them with you – our loyal customer. 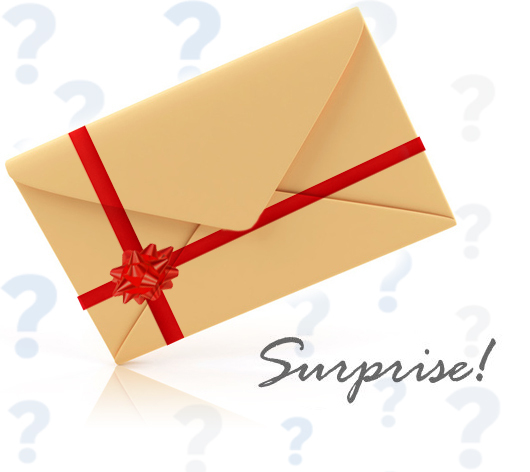 Each order will include an envelope with a random awesome item inside. And to mix things up a bit more, a few lucky customers will receive an even awesomer item that fits in a box!